These exciting fact books explore all the parts of the body, from the top of your head to the tips of your toes. Learn what all the bits are for, and how they work together to build a healthy, happy you! 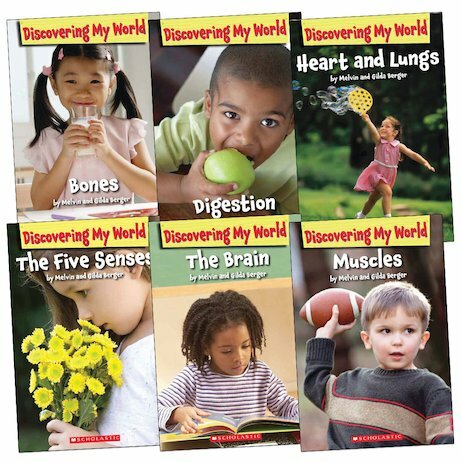 Aimed at emergent readers, this enjoyable pack takes young scientists on a first tour around the human anatomy, giving them the inside facts on the muscles and organs that make their bodies run. Vivid photographs, simple text, short sentences and bite-sized facts help to make the complexity of the body accessible to younger learners.